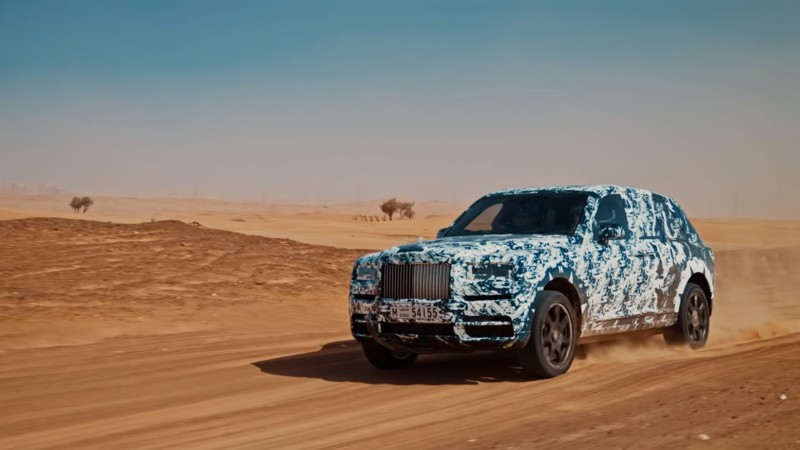 The first-ever SUV to come from Rolls Royce, the Cullinan, is set to debut tomorrow, May 10. So, naturally, the media hype train is at full steam ahead, with Rolls pushing more and more small teaser photos and video snippets as we get closer to launch. 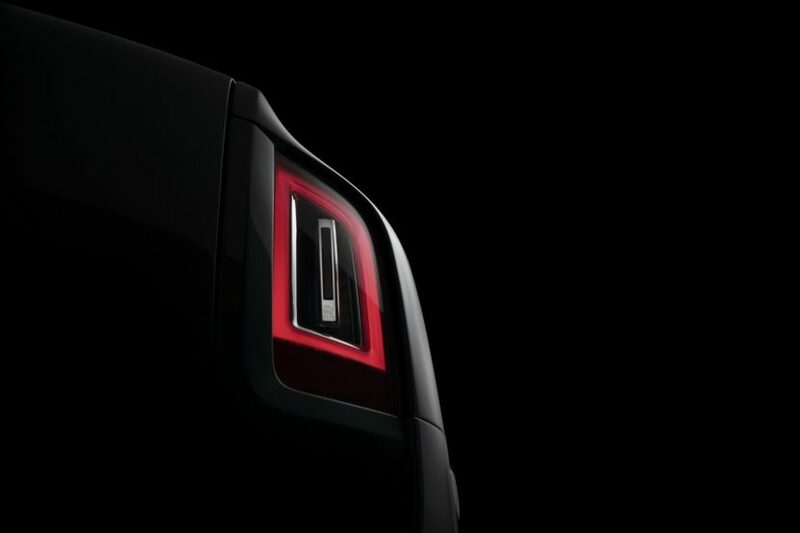 This latest new photo released just one day ahead of its reveal shows off a bit of the center console. Nestled between both seats lies the Cullinan’s version of BMW’s iDrive controller. What’s nice is that Rolls Royce gives BMW’s typical rotary wheel its own unique flavor, being big and metal with the iconic Spirit of Ecstasy in the center. 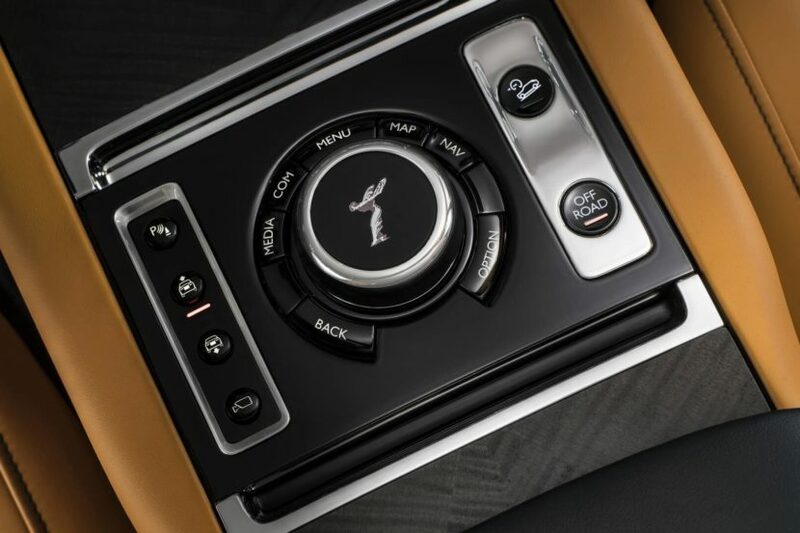 Surrounding it are the typical suite of redundant buttons but they’re displayed in a unique fashion, so they don’t look as if they’ve been pulled directly from a Bimmer. More interesting, though, are the buttons that surround the rotary dial, more specifically the two buttons on the right of it. Sitting next to the passenger seat are two buttons we never thought we’d see in a Rolls Royce product. The first is a hill decent control button, which to be honest isn’t actually that unusual. There are plenty of cars that have such a button that aren’t rugged SUVs. The really crazy thing to see is the button below that, labeled “OFF ROAD”. We never, and I seriously mean never, thought we’d see a Rolls Royce with an off road button. I think if you were to show Sir Henry Royce the Cullinan and its “OFF ROAD” button, he’d have a heart attack and spill his brandy all over his lion-skin rug. How uncouth, for a Rolls Royce product to go off road. Rollers are supposed to be about elegance, opulence and typically English, reserved luxury. A Rolls with something as vulgar as an off road button would, and probably does, infuriate the more classic Rolls Royce faithful. Yet, here we are. It’s a strange world. Personally, I actually like that it has an off road button. To me, there’s actually always been a bit of quiet vulgarity to a Rolls. They’re massive and imposing when they don’t necessarily need to be. They sport engines so unbelievably large and powerful when they don’t necessarily need to. There’s something about a Rolls Royce that, calmly, says “I’m bigger, better and more powerful than you. But I do it while wearing a perfectly tailored tuxedo and sipping the finest champagne”. 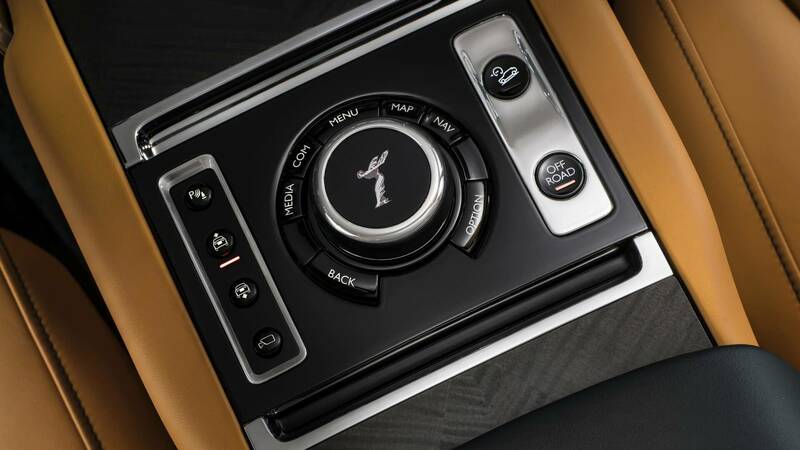 So the fact that the Cullinan has an off road buttons says, to me at least, “I can do anything you can do, Range Rover, but better and in more style”. And I like that.